Hide a book day – a week late! I participated in the Goodreads.com ‘hide a book day‘, in which you hide one (or more) books for unsuspecting readers to find and (hopefully) enjoy. My one problem was that I had no stock left of my ‘Magic Dan’ book with the new cover. 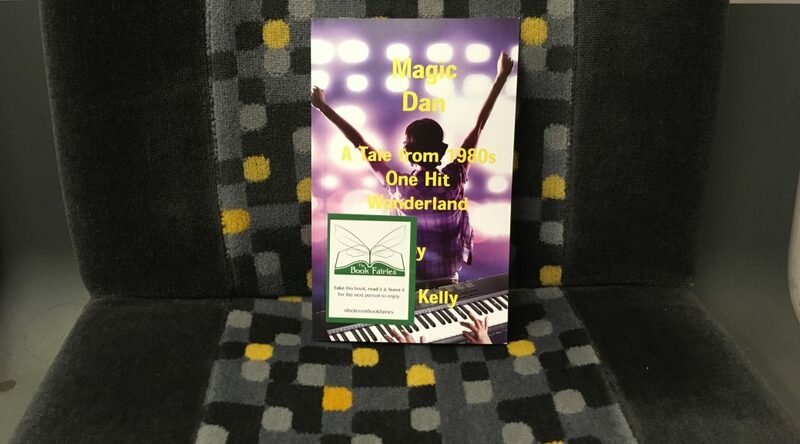 When stock arrived (Friday 22nd – 4 days late) I rushed out and planted a few (see pic) on the very wonderful Merseyrail trains – on the New Brighton, West Kirkby, Hunts Cross, Ormskirk and Kirkby lines. It was an interesting day out if you like trains! I am not sure I do. Quite a bit of planning involved in visiting five different lines in the most efficient manner – I think I was one station short of the prize, still it only took a couple of hours. So if you are one of the lucky (?) readers, I hope you enjoy my book and if you get the chance to review it on Amazon or Goodreads I would be very grateful. Previous PostMagic Dan reduced to 99p for limited period to celebrate wider availabilityNext PostRunning the Blockade by Thomas E Taylor – the changing nature of politics and the unchanging amorality of business.